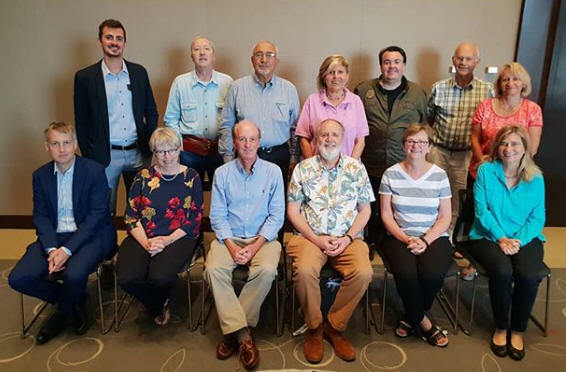 ISPP Executive and Secretariat 2013-18 and 2018-2023 - Back Row, L to R - Andrea Masino, Serge Savary, Khaled Makkouk, M. Lodovica Gullino, Mathias Choquer, Richard Strange, Nathalie Poussereau. Front Row, L to R - Daniel Huberli, Brenda Wingfield, Thomas Evans, Greg Johnson, Jan Leach and Lise Korsten. Absent, Zamir Punja.